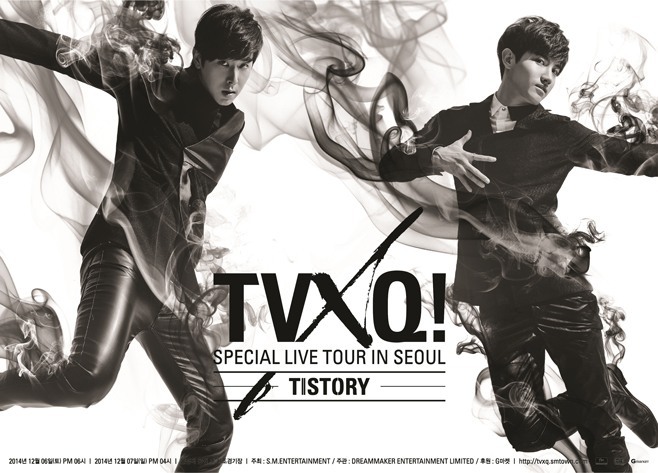 The teaser poster for TVXQ’s tour “TVXQ SPECIAL LIVE TOUR -- T1ST0RY” was revealed on Wednesday. The upcoming concerts will be held in a Seoul gymnasium on Dec. 6 and 7. The concert poster, which was uploaded on SM Entertainment’s official website, shows TVXQ performing on stage. The boy group’s concerts have added significance as they will be a celebration of its 10-year career. All the tickets sold out shortly after sales started on Oct. 28, proving TVXQ’s soaring popularity. SM’s performance director Sim Jae-won, who has worked with the group for many years, will produce the concert. The boy group has become the best-selling foreign pop group in Japan with accumulated sales of about 4.1 million. Its new EP, “Time Works Wonders,” was released on Nov. 5.